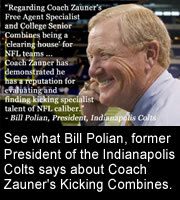 Coach Zauner Welcomes The Opportunity To Work With You. Whether you are looking to attend a ONE on ONE Lesson, Camp or Combine, Coaching the Coaches or to schedule a 60 Minute On-Field Evaluation with Coach Zauner you are in the right place. WITHIN 3-5 BUSINESS DAYS of SUBMITTING this REGISTRATION an INVOICE will be GENERATED and E-MAILED directly to participant. A 25% deposit is required within 5 business days from the date of the Coach Zauner, LLC invoice to hold your requested date(s). NO PAYMENTS WILL BE ACCEPTED WITH THIS REGISTRATION. All date requests and schedule changes must be submitted and approved by Coach Zauner. 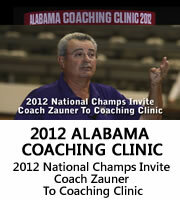 Note any pertinent information you would like us to be aware of related to attending a Coach Zauner, LLC Program. 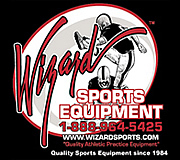 This might include any noteworthy stats or post-season awards in kicking, punting or long snapping you have received. By completing and submitting this registration you are in agreement and accept the terms of the Coach Zauner, LLC Media Release. * Program will be held regardless of inclement weather conditions. * Program will be re-scheduled if cancelled due to extreme act of nature (Coach Zauner, LLC will offer no refunds). * Program rules covered at first Coach Zauner, LLC meeting. * Discipline problems will not be tolerated. Alcohol and all illegal drugs will be prohibited. * Offenders will be dismissed without a refund. * Registrants will be liable for any damages they cause while attending a Coach Zauner, LLC Program. Deposit and Payment Method: Non-refundable twenty-five (25) percent deposit required on all One on One lessons. Lesson Cancellations: Client entitled to re-schedule one time during 90 day period as long as cancellations are made more than 21 days prior to lesson. Camp Cancellations: All camp cancellations 72 hours or less will be subject to $350 cancellation fee. Combine Cancellations: Full payment due upon registration with 50% refundable if cancellation is requested, received and acknowledged -in writing- at least 10 days prior to event. Lessons, Camps and Combines are held at outdoor facilities and will be conducted regardless of weather conditions. Electronic payment available, UPON EMAIL RECEIPT OF A COACH ZAUNER, LLC INVOICE just click on the Intuit Bill Pay link ON YOUR COACH ZAUNER, LLC INVOICE. It's a secure, quick and easy method to remit payment, no additional on-line fees apply.